Welcome to the website for The Media Student's Book, 5th edition! 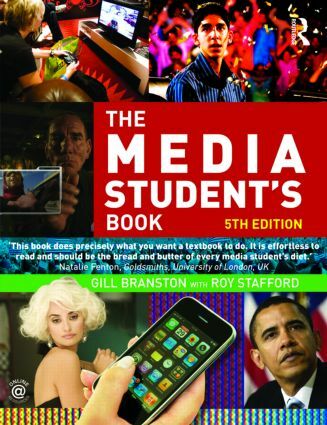 The book and the website together form a comprehensive introduction for students of media studies. They cover all the key topics and provide a detailed, lively and accessible guide to concepts and debates. The website is structured in four main parts, addressing key concepts, debates, research skills, and media production. Each chapter section includes a range of examples to supplement the book, such as additional new and classic case studies and related links. Anyone can use this site – not just purchasers of the book. All the material is freestanding. We hope that you find this site useful. Of course, we hope you will consider acquiring the book and then you will get the maximum value from both book and website. The website has been developed alongside the book and follows its structure, but extends its range and its depth, using the potential of online searches. The Media Student’s Book was published first in 1996 and has been regularly updated since. In fifteen years the subject – and the book – have changed in many ways and specific examples and case studies have been replaced. However, feedback suggested that in some cases there is still value in the 2006 material and this website gives us the opportunity to retain access to some of this material. For the 5th edition of the book (MSB5) we decided to focus more closely on the theoretical aspects of media studies and therefore we removed what had been the ‘media practice’ chapters of previous editions.  But the website means that these chapters are not lost – they now appear as a new section on the website, complete with an extended case study about filmmaking that would not be possible in book form. If you have the book, the website offers two means of extending your work. Whichever chapter (or case study) you are using, there is an equivalent chapter heading on the website and any hyperlinks that appear in the chapter are included on a web page under that chapter heading – you can ‘click-through’ directly from the website. In some cases this is new material, commissioned specifically for the site and presented in html. (Where this material is relevant for more than one chapter, links will be found in each relevant chapter.) Case studies from previous editions are also available in pdf form. Some of these are long and may be best downloaded. The Production section includes two large chapters from the 4th edition plus an extensive new section (in html). We intend the website to be updated and expanded on a regular basis, but we also hope to maintain a blog which is accessible via the website. This will give us an opportunity to explore news events and also to interact with you the reader.